Picture the scene: A bustling New England tavern, December 1785. 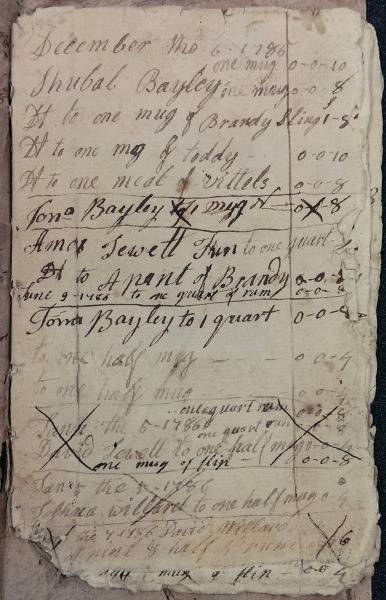 Two patrons sit at the bar, swapping war stories and discussing nascent U.S. political philosophy over mugs of… of what, exactly? 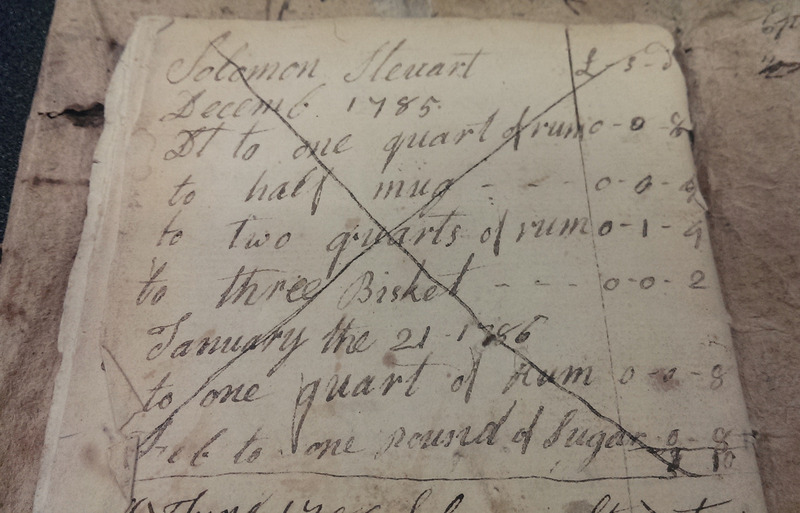 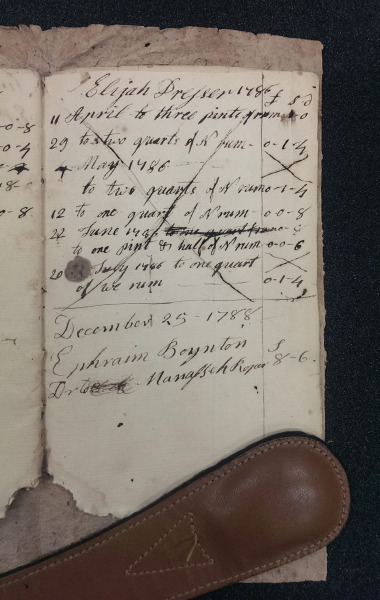 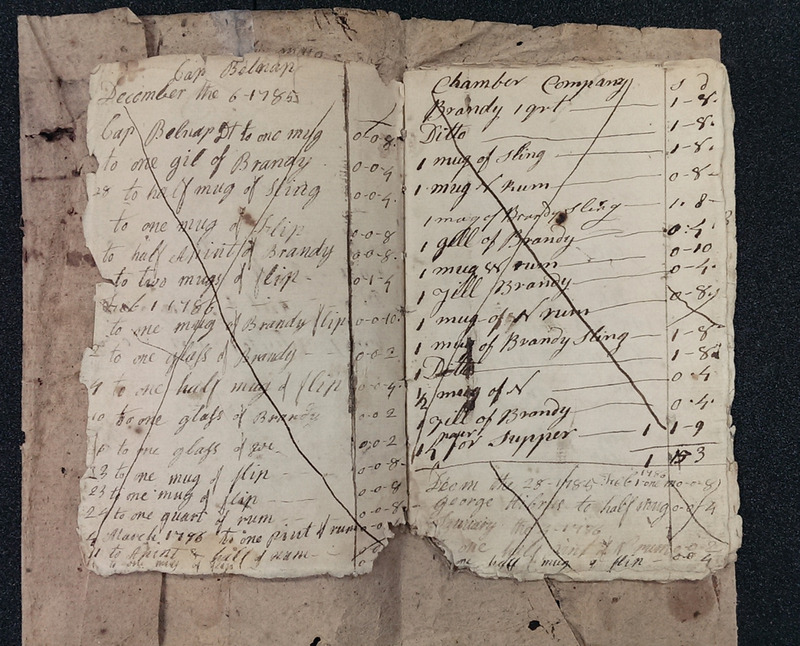 MSU Special Collections recently acquired an early American tavern keeper’s account book that can help answer that question—recording what American revolutionaries and their contemporaries were drinking (and eating) over two centuries ago. 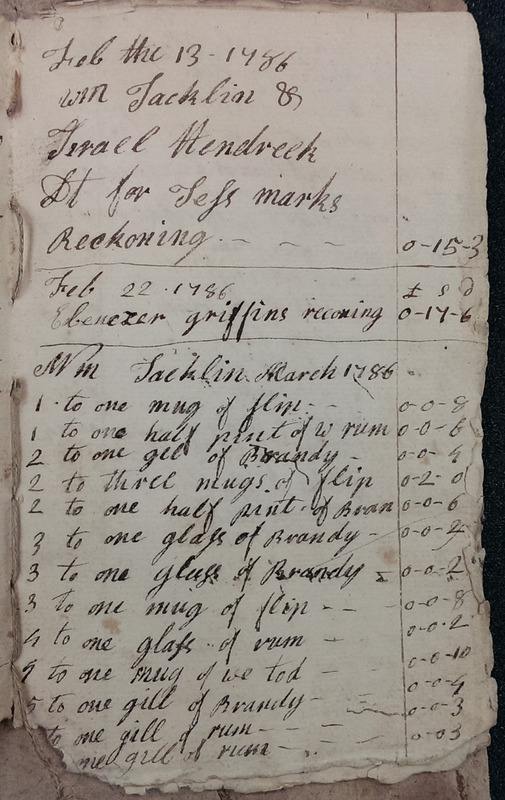 Dating from December 1785 through 1788, this tavern keeper’s logbook tracks the sale of brandy, rum, flips, slings, toddies and other contemporary beverages, illustrating the drinking habits of 18th century New Englanders. 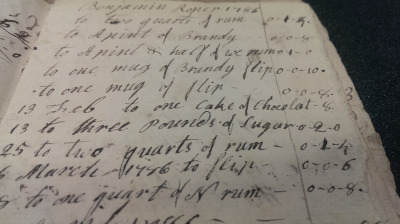 There are some entries for meals, and for sales of salt, sugar, and other commodities (as well as “one cake of chocolate”), but unsurprisingly the most popular fare was liquid in nature. While the barkeep’s name remains anonymous, it is easy enough to trace the ledger to Sterling, Massachusetts—the town’s name is written several times across the tattered paper covers, and a number of personal names penned in the book can be found in Sterling’s early town records. This manuscript account book is in amazingly good shape considering its age (231 years old) and heavy use, and it gives us a rare insight into the types of transactions that must have been commonplace at shops and taverns of the period. 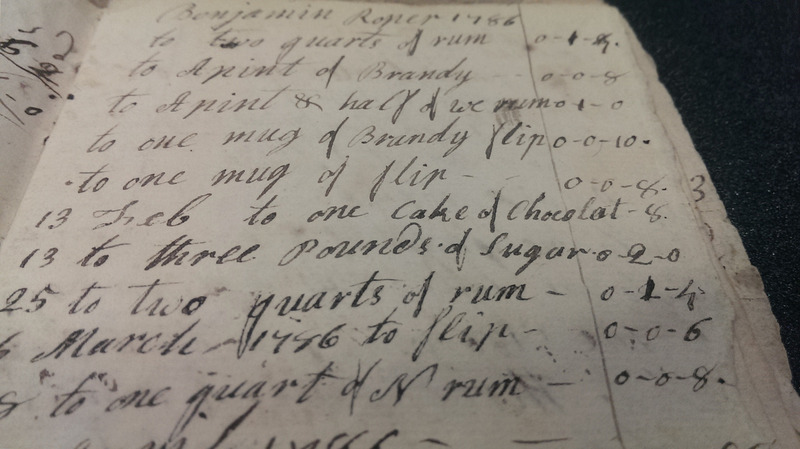 So join us in raising a mug of brandy flip (or a slice of chocolate cake, if you prefer) in honor of our recent acquisition!